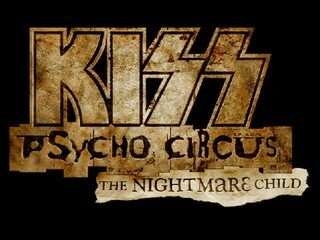 Yes, the 2000 PC game called KISS Psycho Circus: The Nightmare Child was in fact inspired by the band KISS. The plot involves a tribute band that suddenly receives superhuman powers. And then, of course, the Nightmare Child shows up. Best time on Lullaby difficulty: 0:51:16 by Thomas Sturm on 2012-07-01, done in 30 segments appended to one file. So this is it. Kiss Psycho Circus. It took me almost two years to find out that the game has a final level and boss - the nightmare child (surprise). off a good 5 minutes. I chose the easiest difficulty again, simply to reduce the sheer amount of enemies (as if they werent annoying enough on this one). not, of course i skipped every cutscene possible. I kept recording once the awkward outro starts since it was the first time the game didnt crash at that point. for example have the same effect but i couldnt even get out of that first room without the gauntlets because i cant smash that window with my bare fists. And unlike with weapons, there is no other way to get these items later in another stage. Plenty of enemies, mostly indoor. The games worst aspects. Got stuck here and there but still finished decently. Not much to say here. to the right of the cathedral entrance but it doesnt go high enough. I also pick up the rocket launcher near the unipsycho, i will need it later for the bossfight. I do a corner jump to get to the star weapon that is guarded by a clown, if you dont circle around it you end up crashing against an invisible wall. takes a lot of time). Besides of one headless standing in my way, the rest went pretty smoothly. with the whip is totally acceptable here since it has to be very accurate and the whole segment is very hard (boosting over the gate took a lot of attempts). timesaver. Improved my old run of this part by 50 seconds! cutscenes, only indoor and no shortcuts or whatsoever. The car wasnt suppose to be there in that cutscene btw, this happened for the first time. sometimes not. He is crucial, because killing him opens the next gate. I skip the way to the lever and the body armor next to it. I dont need it anyway. able to jump on it. Very frustrating. It skips a very long cutscene though, so it was worth it. oh well. Overall improvement for the beastking: almost 2 minutes! mirror early. Way to go, developers :). I dont know how, but i was 9 seconds faster than in my old run of this stage. Very fast access to the power plant by a jack-in-a-box-got-stuck boost. Inside, i skip picking up the armor by jumping over the trigger from a headless. that just cost me one second. Cut off 7 seconds here, mostly because of the armor skip. route, the major shortcut here is falling down at that corner where the tickler attacks me. Improvement over old run: 23 seconds. time the boost works and to do the boost you have to press forward and left. Otherwise you crash against the ceiling there. So its all about timing. of the ticket box boost. Overall improvement for the celestial: Over 1 minute. mostly because of the trick with the headless at the beginning. again. It was still the best time i could come up with. 15 seconds faster than my old attempts. tracks to the other side, which is the key part of this stage. There was not much to improve here, same route as in my old run. Lots of shooting here in order to proceed. Skipping the mask is impossible afaik (I tried to jump over it via a stump but it always triggered). fact that i went out of ammo 1 second before he was dead. Total improvement for the demon: over 40 seconds. full health and equipment. And also before you enter the boss part, the game refreshes your health and ammo again. So dont be confused there. shortcut of the game. The boss fight went pretty good, since i didnt run out of ammo with neither the rocket launcher nor the dragonhead.